Grace Kalamata will be a stunning beachfront retreat located just outside the picturesque city of Kalamata in the south western part of the Peloponnese in Greece. Comprising 84 rooms and suites plus up to 20 beautifully appointed residential villas, the hotel will be the ideal haven for couples and families alike who seek the luxury boutique hotel experience that Grace Hotels has become synonymous with. As with all Grace hotels, the design will be sympathetic to the locality whilst incorporating a contemporary edge characterised by elegance and simplicity. The hotel will feature multiple restaurants, two bars, a state-of-the-art spa and conference facilities, ideal for intimate corporate retreats. Located on the beautiful sandy Velika beach with 300 metres of secluded beachfront, Grace Kalamata will be approximately 20 kilometres west of Kalamata in an area known for its outstanding natural beauty. 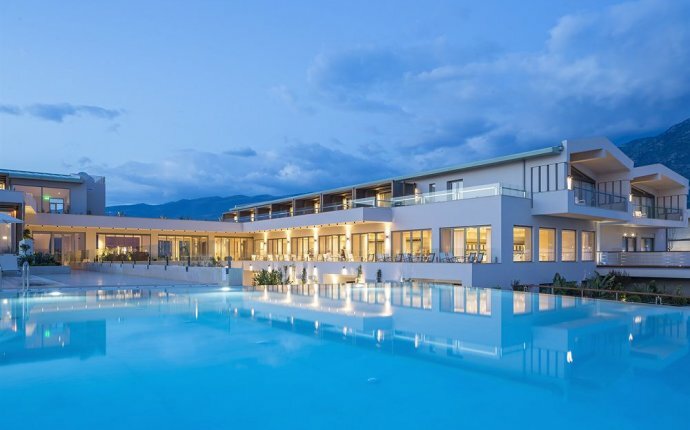 The hotel will offer views of the Messinian Gulf and Mount Taygetos. Grace Kalamata will be conveniently located for access by road (approximately 2½ hours’ drive from Athens) and air (13 kilometres from Kalamata International Airport). This area, rich in culture and history, offers much for visitors to enjoy, from the quaint seaside town of Pylos and the Palace of Nestor, one of the finest surviving examples of a Mycenaean palace, to Loutraki, known for its natural springs and therapeutic spas. The historic towns of Nafplio and Monemvasia are also nearby. Numerous beaches line the coast, all of which are within easy reach of Grace Kalamata.